Two more delectable tropical blueberry species are flowering this week in the Tropical High Elevation House. The flowers look good enough to eat. Last week I wrote about the antioxidant properties of these tropical relatives of our native blueberries. But did I mention how gorgeous they are? 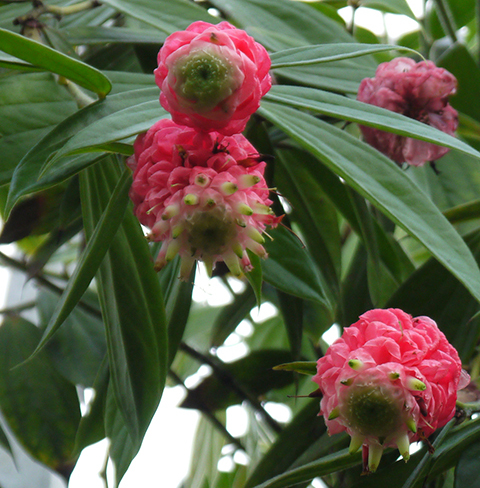 Their culture is similar to that of the the Vireya Rhododendrons, another group of tropical ericaceous shrubs. They need some sun, temperatures above 48º, acidic peaty substrate. Many of them are epiphytes and therefore want some additional perlite and/or fine fir bark added to their mix. The biggest challenge in growing them? Size. The flowers pictured above are produced on branches about 6' in length. 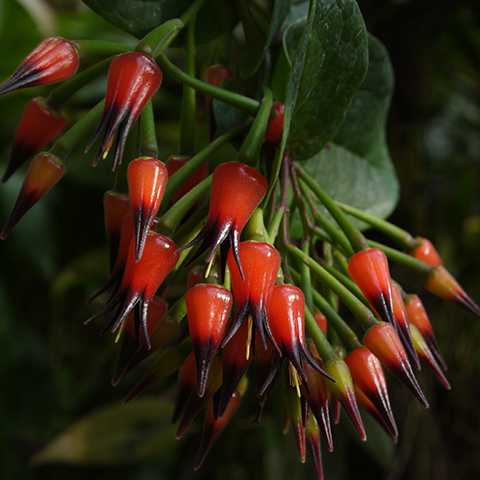 Tropical blueberries are fairly uncommon in cultivation. The New York Botanical Garden has an excellent research collection. Our Tropical High Elevation House is a great place to see them.